Recipe for a legend. Any fan of the original Texas Chainsaw Massacre will like this prequel concept! 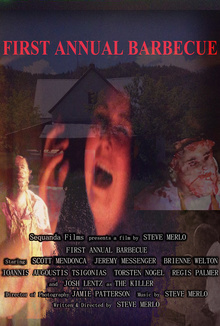 Many youths are lured to an abandoned house in the middle of nowhere for a barbecue. Certain horror awaits all who enter this house as it is occupied by a deranged cannibal! Any fans of the original Texas Chainsaw Massacre will love this prequel concept!